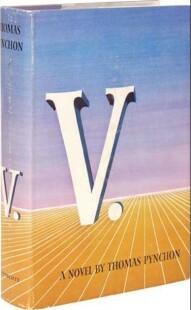 I’m in the middle of Thomas Pynchon’s first novel, V, right now — and it’s just as fresh as it was 51 years ago. But I’m not going to talk about that. This week I read a pretty informative piece published in The Economist on April 21, which details the development of new computer models that can predict the outbreak and spread of civil war in countries across the world. Aside from being a provocative idea on its own terms, the stuff I learned in that article reminded me of why I wrote a column two months ago about the importance of remembering and studying Pynchon’s 1973 magnum opus, Gravity’s Rainbow. Basically, the massive budget afforded to our military (and those of a few other big Western democracies, and probably also China, I guess) has now placed it in the market of guessing exactly when armed conflicts — especially small-scale ones, as in guerrilla warfare — will take place, in order to make all their necessary sociopolitical preparations. And the first project mentioned in the article even goes by a totally Pynchon-esque acronym. SCARE, the Spatio-Cultural Abductive Reasoning Engine, only applies to conflicts already set in motion, but it seeks to provide researchers with a workable model of understanding guerrilla tactics based on what they’ve documented in Iraq and Afghanistan. Even better is RiftLand, a project that uses data collected by charities, academics and government agencies in hopes of building a formula that we can use to predict when various parts of East Africa will enter periods of civil strife. And as one of my professors said, the poets (or, in this case, the novelists) always get it right before the scientists do. Pynchon was describing a postmodern World War II in his novel, but he addressed the very concepts our new computer models are now attempting to reduce to an equation. We find, within Gravity’s Rainbow, detailed mapping of German missile strikes by the British military in order to predict the location of the next blast. There are certainly differences between the novel and today’s reality — primarily, I think, because our new computer models are at their foundation offensive tools, not defensive ones — but the search for order within chaos, the thing Pynchon was really trying to tell us about, is key in both cases. That urgent grasping at straws — now more easily grasped than ever — is even more clearly on display in other projects mentioned within the piece in The Economist: Condor, E-MEME (Epidemiological Modelling of the Evolution of Messages), and W-ICEWS (Worldwide Integrated Crisis Early Warning System). Condor predicts the eruption of pubic protests by sifting through data from Twitter, Facebook and other social media. E-MEME does something similar but on a larger scale, by including data from news sources and blogs (from the general public rather than just noted activist leaders) in order to guess what an entire national population will be thinking in a time of unrest. And W-ICEWS, which is run by defense technology giant Lockheed Martin, goes furthest in the search for order. It adds diplomatic communication and intelligence reports to the list of data, giving its engineers the potential to predict — months in advance, the article states — riots, rebellions, coups, economic crises, government crackdowns and international wars. So Pynchon did get it right when he wrote of those frantic attempts to find a formula for German rocket targets. But did he get it right when he concluded, via the failure of his characters to discover a pattern, that the formula doesn’t exist? That the explosions, their destruction, are merely random forces of societal energy? It’s tough to say, especially since our new computer models are new still so new and politically malleable. It’s not just a matter of how effective projects like W-ICEWS will end up being; who really knows what kind of societal crosswinds will interfere with the very creation and implementation of these models of armed conflict once a government like America’s puts them into action for years at a time? But I think this question is also one Pynchon was trying to confront us with when he decided that the only thing guiding the Germans’ V-2 rockets was entropy. And the reason I thought of all this wasn’t to try to answer that question, or even just to inform you of Pynchon’s prescience. Once more: I think we need to start reading Gravity’s Rainbow again, as the example of American postmodern fiction. There’s a big supporting cast within that field, but GR is still worth placing on the pedestal simply because it doesn’t let us get away from our search for a very mechanical sense of order within the very human chaos of conflict (and, yes, I know there are other books that do just that, but this one is the best one). It’s no use for those of us without bureaucratic or political power to debate whether or not projects like W-ICEWS are morally and ethically good things; but we can challenge ourselves to seek the motivational roots and potential outcomes of a computer model that predicts — for the benefit of us in the West, our privileged peace of mind — world-wide civil unrest based on statistics created by the evil and suffering of other people, or maybe just their tweets. We can do this more productively by recognizing one who got it right 40 years ago, and by applying his inconclusive conclusion — that of pure randomness — to our own era and culture. We’re going to find out soon enough how accurate our computers’ predictions are; it wouldn’t hurt to reach that day, as on some grand final exam, with a few notes-to-self and some good old-fashioned critical thinking. I've stayed away from Pynchon because of his reputation for being obscure, but this is stuff one shouldn't miss.